Wouldn’t it be nice if all clothes were clearly marked with labels spelling out “summer” or “winter”? It would definitely take the stress out of getting ready and shopping, plus it would keep us from having to constantly wonder Is this item wintery enough? or Is it too summery? 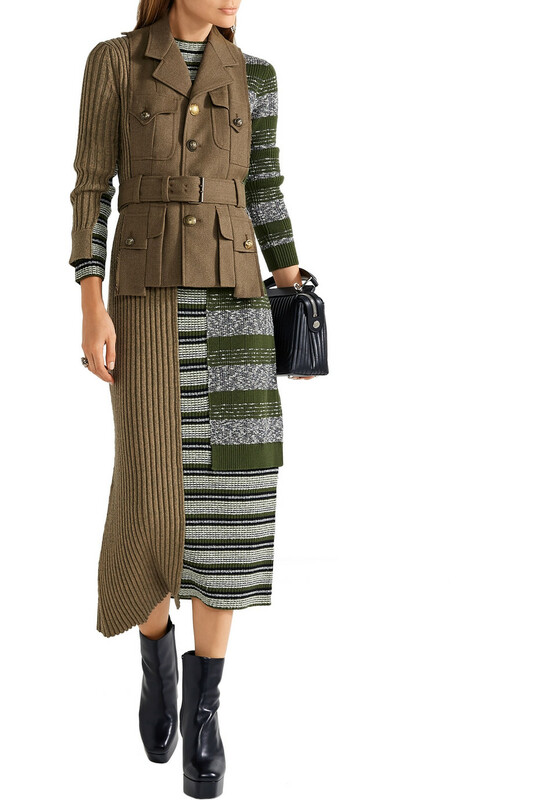 Well, since we don’t anticipate this imagined labeling system to happen anytime soon, we’ve come up with a condition that almost guarantees winter-ready looks—when it comes to dresses, at least. As you probably guessed from the title, we’re talking about none other than long sleeves! 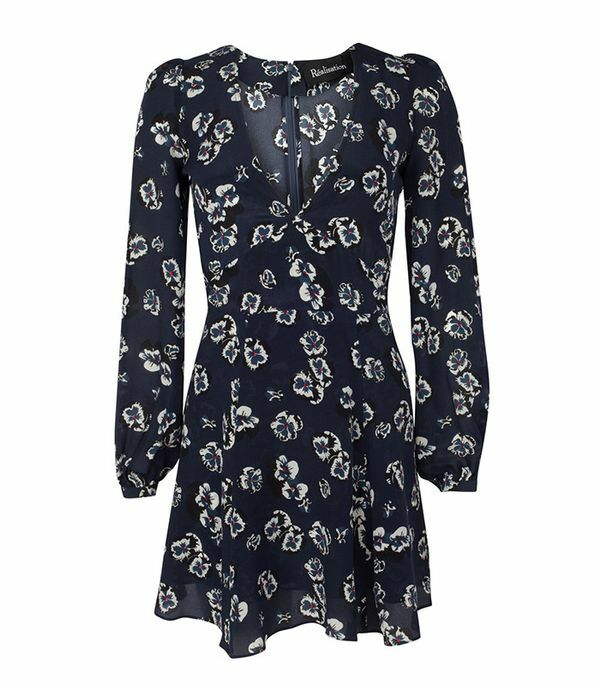 A long-sleeved dress is not only a winter yes, but it can actually be a lifesaver anytime you’re in an outfit bind. Whether you pair one with sneakers, heels, or over-the-knee boots, they can take you almost anywhere and make dressing that much easier. So, without further ado, shop our picks below! 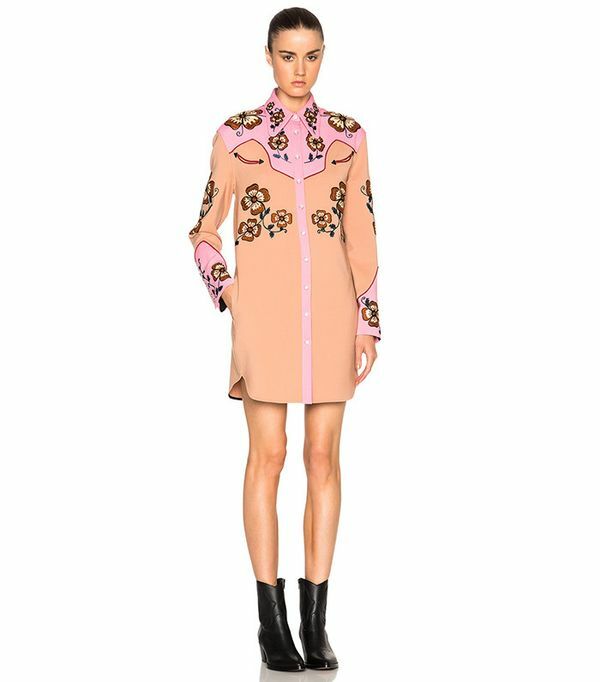 This beautiful dress can easily double as an on-trend robe jacket. Take cues from Chrissy Teigen , and style this with over-the-knee boots. Channel your inner street style star with this on-trend midi dress. How dreamy is this one? You can wear this little number all year round by simply swapping out shoes. We’re so into the Western trend this season. Style this with statement earrings and pumps for a night out. We’re living in this dress for the next few months. 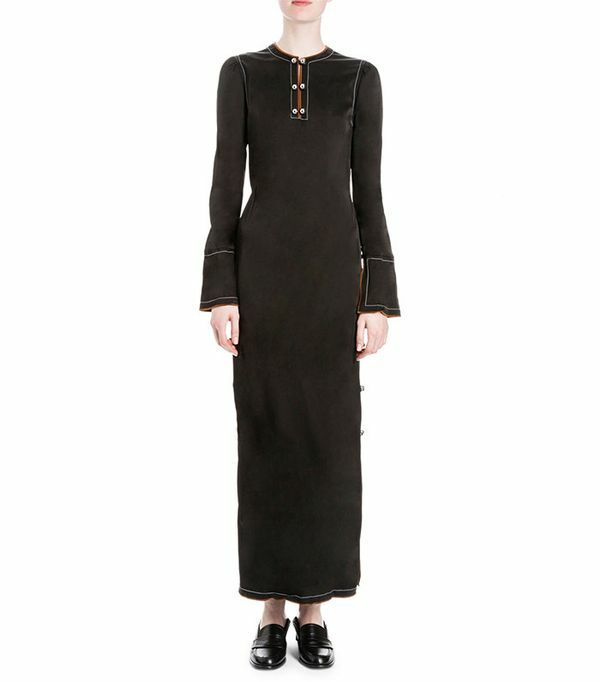 You can literally wear this dress anywhere. 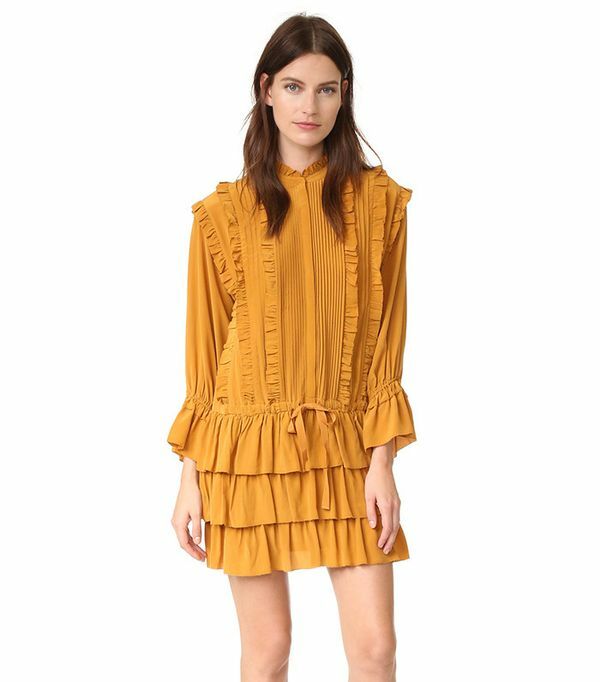 The perfect dress for the ruffle-obsessed. 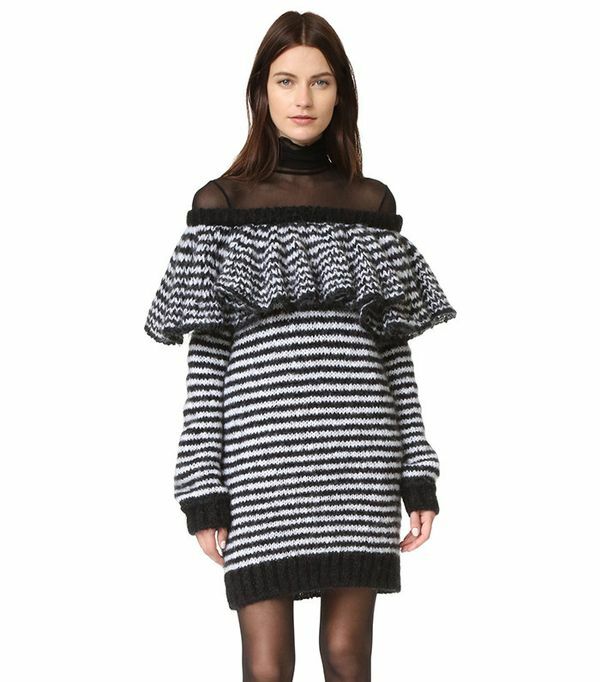 Statement sweater dress—say that 5 times fast! 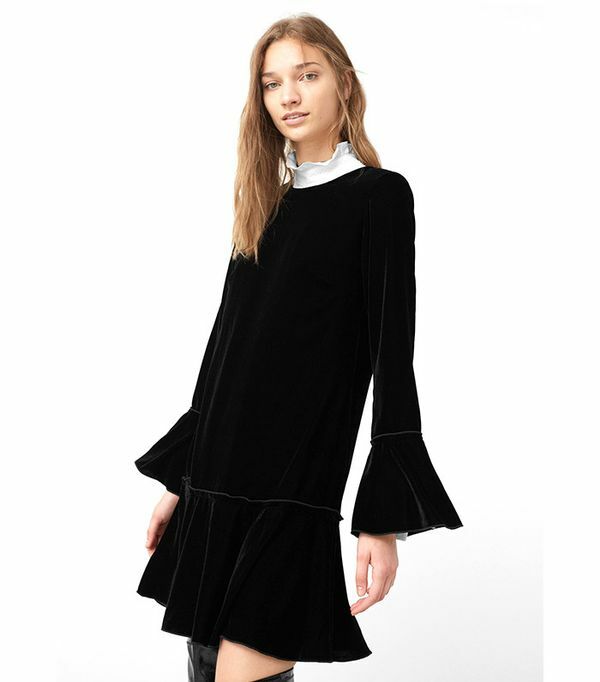 It wouldn’t be a dress roundup this season without at least one velvet option. Stand out in this striped dream. Who doesn’t love a star print? Now that you’ve got the dress, see what our favorite unexpected accessory to pair with it this season is.